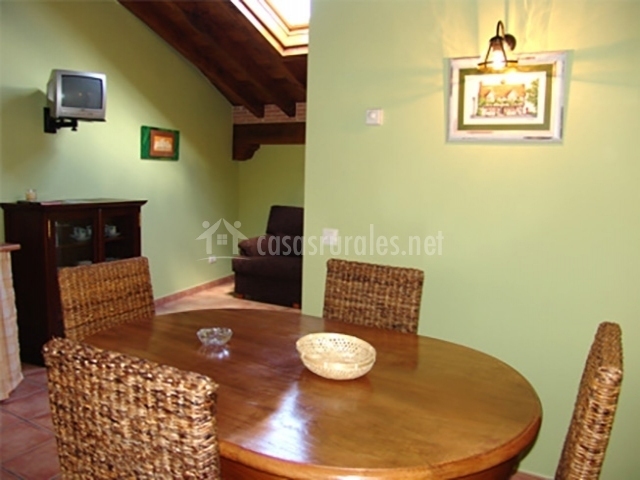 Located right at the foot of the mountain , in the locality of Ibio , in the province of Cantabria , are these cozy rural apartments. They are perfect option for both winter and summer; in winter you can enjoy the snow-filled landscape because snowfalls are frequent in the surroundings, and in summer you can enjoy the wonderful beaches and sunny days. They have taken advantage of the Rustic elements that previously formed the structure, which was an old rural house, to give them a very comfortable and close to the tourist. A living room, with walls decorated in bright colors and very spring, thus giving a more consistent with the outdoor space. Sharing the space is a kitchen American equipped with a countertop and with the basic appliances , washing machine , dishwasher , refrigerator , etc and with more utensils that will be very useful in the days vacation. The lounge area consists of a comfortable sofa and a small auxiliary table, making company to television. There are different furniture in rustic key to give a more familiar look to the room. 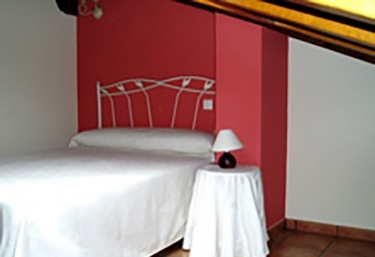 The rooms are double and are always equipped with household items and towels. In some we met with a large double bed and in others with single beds. The wooden headboard and the large wardrobe to keep personal items matching play an important role. The highlight of the room is the great balcony that brings great brightness and a view to the outside worthy of admiration. The bathroom is equipped with the needs of the tourist in mind. With walls of tiles , it is equipped with bathroom linen and household items for a correct and comfortable personal hygiene. They are remarkable the walls that are combined between bricks, stones and cement, generating a unique style. This apartment is the ideal and most intimate place you can find to go to relax with your partner. Equipped with a kitchen-dining room with high ceilings with wooden beams and with contemporary elements. It has a kitchenette with all the appliances needed for daily use such as the refrigerator , the microwave or the washing machine . There is a table of wood dining room in the center. The room is composed of a X bed The colors of the walls are green, recreating a more natural and cozy space. The bathroom is fully equipped with household items and utensils for personal hygiene; is composed of bathroom linen and towels. This accommodation is perfect to go with your family. It is composed of a kitchen-living room equipped with all the necessary appliances , especially attracting attention for its floor tiles . The window that accompanies the dining table illuminates the space and gives it a warmer air. The 2 rooms are divided into a con double bed and another with 2 single beds . In the rooms there is a balcony with incredible views to the outside and to the pure mountain air. Both are composed of bed linen and towels. The bathroom is very characteristic for being decorated in white and blue tiles, as well as being composed of household furniture for personal hygiene. It is a complete space, in which you will be able to enjoy the tranquility, and with all the comforts. 2 double rooms spacious, with all the amenities. Large dining room , with armchairs and wooden table. A full kitchen, with appliances and kitchenware. It is a space with all the comforts, in which you will be able to enjoy the complete rooms that are distributed inside. Un bedroom with double bed. A full bathroom , with towel sets. 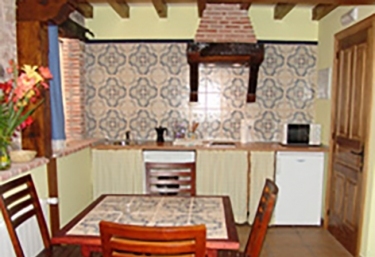 It is a very pleasant space, where you will be able to enjoy your holidays as a couple. 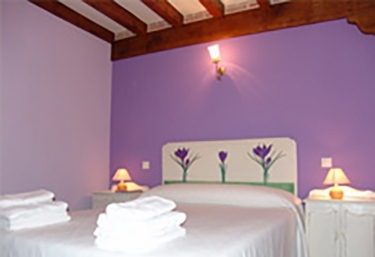 We have space for 2 people , and it is a lodging adapted to people with reduced mobility. 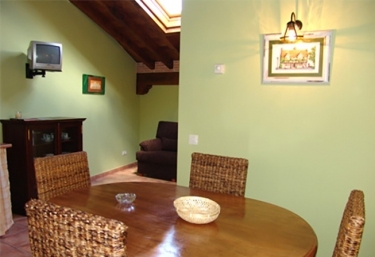 It is an apartment with all the comforts, in which you will be able to feel at home, enjoying complete stays. A d ormitorio with double bed. Large dining room , with armchairs. 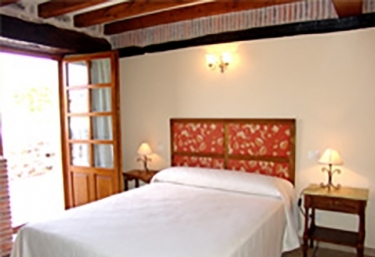 Being located in the central area of ​​ Cantabria , access to places of interest and tourism is almost innate. The coast , with the large amount of beaches that are available, generates an environment where you can practice a multitude of activities like the surf or the fishing, in addition to offering a wonderful day to rest and enjoy of the sun. The Parque de Cabárceno is a perfect place to go with the little ones to enjoy nature and to observe all the animal species of the area. If you like anecdotes, history and culture, the caves of Altamira can not stop being your visit object. The charm of the towns of Comillas and Suances , thanks to its landscapes of mountain and beach, make the environment a perfect place to go to enjoy and rest in your vacations.